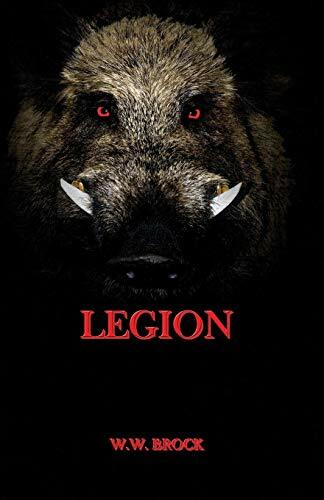 about this book: When a chance encounter in a small eastern Kentucky town brings two Christian men and their wives together, they must fight both spiritual wickedness in high places, and a pack of demonically driven hogs that are terrorizing the local populace. Adding to their problems is a cave of lost silver treasure that has lured men of such evil intent that they will murder to possess it. "LEGION" is a fictional story loosely based on the story of the demoniac that Jesus mentioned in the Gospel of Luke. I asked my pastor what he thought would have happened had the demonic hogs in that story not run into the lake and drowned. His reply, "There would have been some mean hogs in the area!" I have tried to the best of my ability to stick to biblically accurate portrayals of the spiritual beings in this story, and the remedies that can be taken against them. Placing the action in Eastern Kentucky allowed me to weave the legends of lost silver around the Pine Mountain area with a fast paced action tale of a spiritual evil threatening the region.